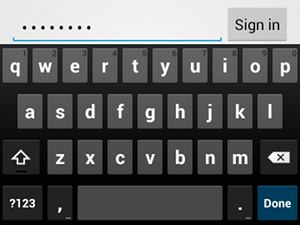 Every text field expects a certain type of text input, such as an email address, phone number, or just plain text. 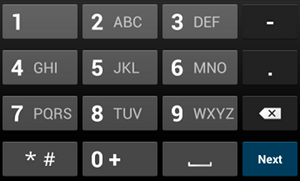 So it’s important that you specify the input type for each text field in your app so the system displays the appropriate soft input method (such as an on-screen keyboard). You should always declare the input method for your text fields by adding the android:inputTypeattribute to the <EditText> element. Most soft input methods provide a user action button in the bottom corner that’s appropriate for the current text field. By default, the system uses this button for either a Next or Done action unless your text field allows multi-line text (such as with android:inputType="textMultiLine"), in which case the action button is a carriage return. 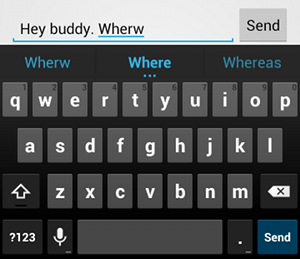 However, you can specify additional actions that might be more appropriate for your text field, such as Send or Go.